Kenji Kamiyama has worked regularly with the anime studio and production enterprise, Production I.G, such as his work on Jin-Roh, Patlabor, Blood: The Last Vampire, and for whom he has directed the Ghost in the Shell: Stand Alone Complex anime television series, which was followed on into a second season, Ghost in the Shell: S.A.C. 2nd GIG and a TV movie, Ghost in the Shell: Stand Alone Complex - Solid State Society. 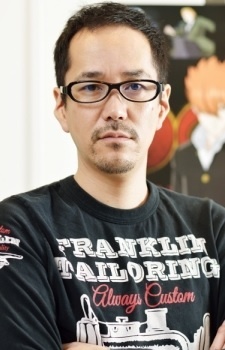 After working as a background artist for productions such as Akira and Kiki's Delivery Service, he joined Team Oshii at Production I.G, contributing the screenplay of Blood: The Last Vampire, and working as animation director for Jin-Roh. In 2002 he made his directorial debut with MiniPato, followed by Ghost in the Shell: Stand Alone Complex and Ghost in the Shell: S.A.C. 2nd GIG. In 2007, after almost 6 years of work on the Stand Alone Complex world, he directed the TV series Guardian of the Sacred Spirit and Eden of the East. Put away your novels and video games, we're heading into unknown territory here. These 16 anime are not based on anything -- they're 100% original. If you ask the general public to name anyone associated with anime, they’re almost certain to name a certain director – Miyazaki Hayao. But for anime fans themselves, the director is a crucial component of anime success that’s too often overlooked. I think SAC_2045 with turn out fine I mean he is directing it after all,honestly it seems the only reason people are worry/disappointed already is cause of it being full 3dcg. Congratulations on the Blade Runner anime. Do your best. I like how the characters of Mou Hitotsu no Mirai wo look exactly like the main characters of Eden of the East. Other than that I think he's a pretty good director.